Don Flannery has served as the executive director of the Maine Potato Board since 2002. From 1997 to 2002 he was the assistant executive director of the MPB. Prior to that role, he was the director of economic and community development for the Northern Maine Development Commission. Find a job you like, work hard at it, and you will always enjoy working. Working with our growers to overcome one of the most challenging potato years we have had in recent history. Spend time with my family and working to finish our new home. That I was able to make a difference in the Maine potato industry and was able to lead the industry in a positive direction. What are the top three things on your bucket/must-do list? 1. Take a non-working vacation. 2. Complete the work under way to make the industry seed farm sustainable. 3. Finish our new home. What would you be doing if you weren’t working with the Maine Potato Board? This is a great question, first answer I had was farm but after a little reality check, I would most likely go back into the economic development field. It is ever changing, and those that are willing to change have the most success. 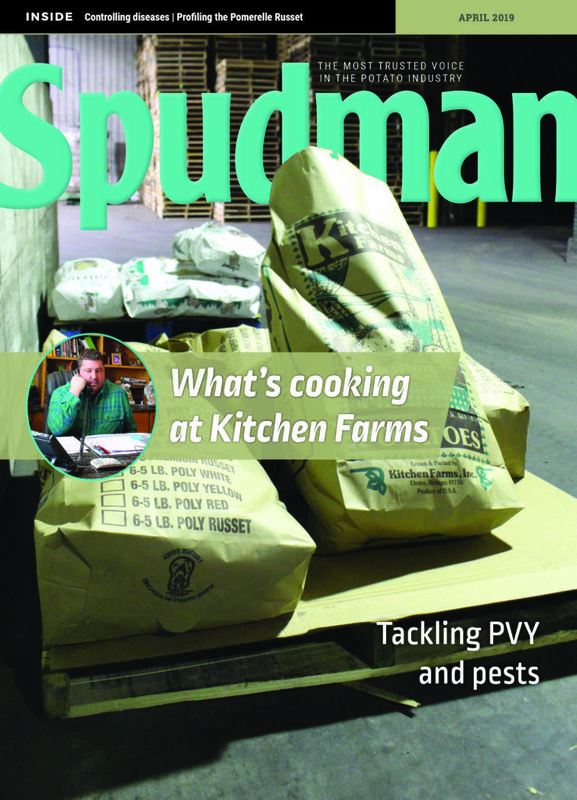 Interested in being featured in Spudman 7? Click here to email the editor.